We are in the middle of the spring but not completely out of winters yet. 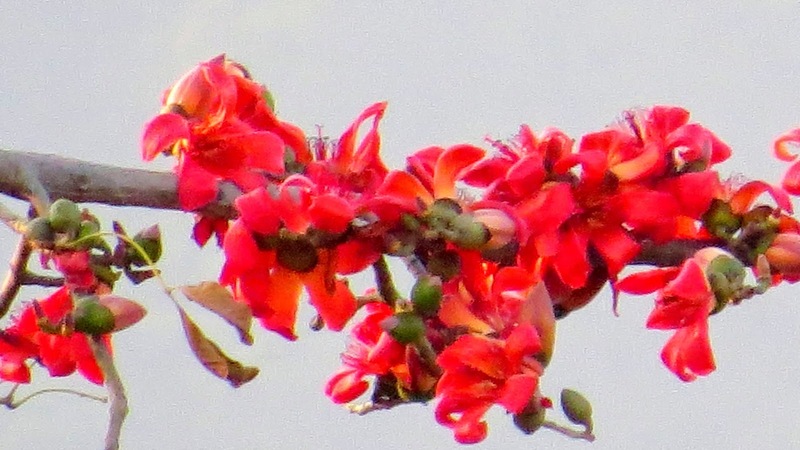 The spring manifests its magnificence in the flower laden bushes and plants. 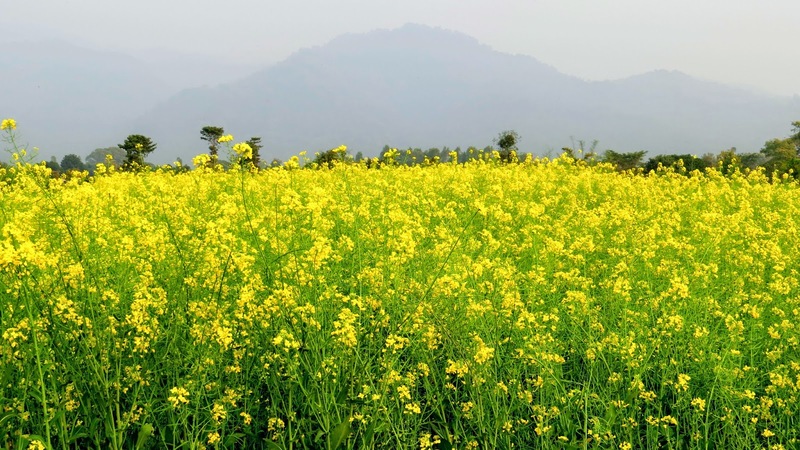 Mustard blossom and Semal (Silk Cotton) flowers are the sure show stoppers. Our Amla tree is laden with fruit. The fruits need to be harvested lest they fall and rot. A recipe is discovered and it turns out to be a wonder. 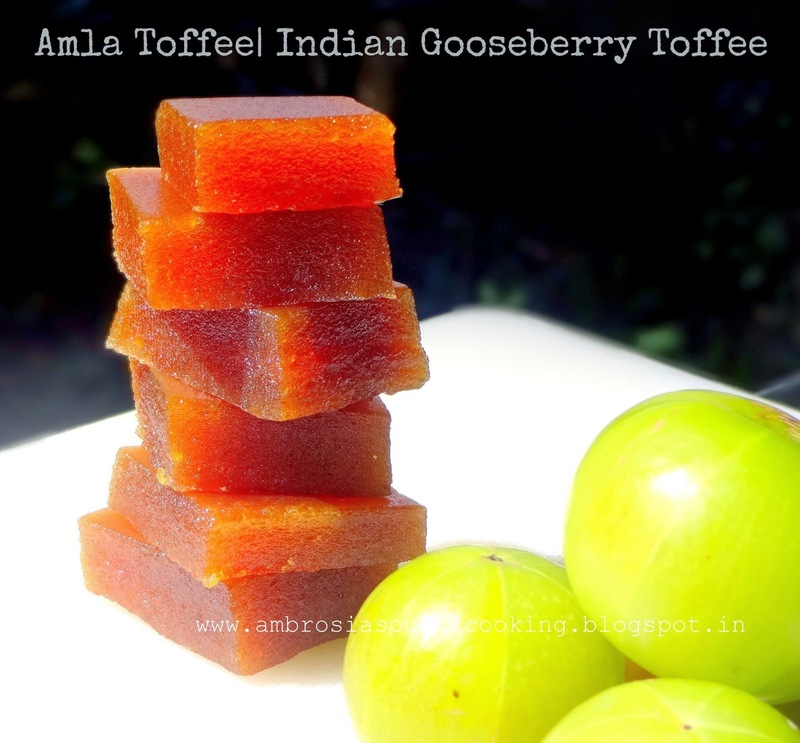 Amla toffee! We get down to making it. And when it is ready, it is hard work truly rewarded. We all loved it and another batch is being planned. 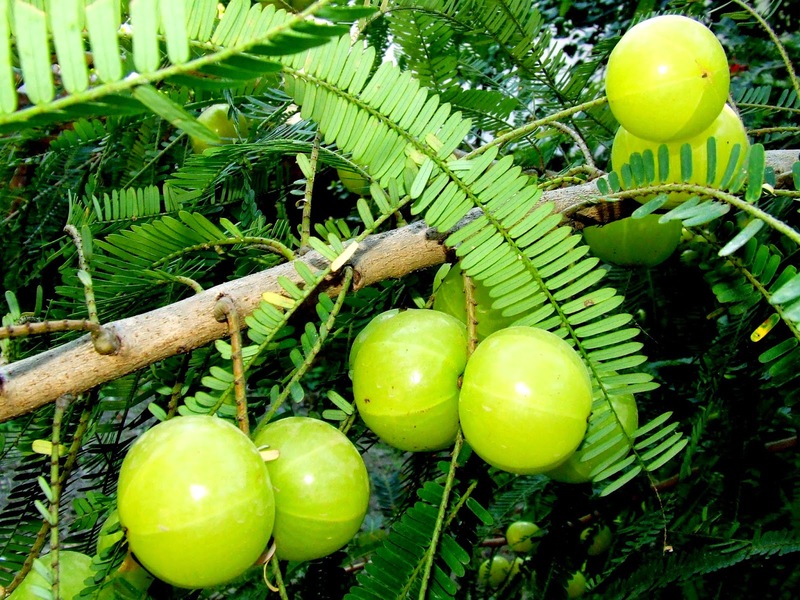 What better use of nutrients rich Amla …. Grease one 7x7 inch square cake pan or a steel plate. Put them in a pressure cooker. Add water just enough (about 100ml) to prevent amla from burning at the bottom. Pressure cook for two whistles. Remove the amlas and keep them to cool. Reserve water. Cook the mixture over medium flame. Once it comes to rolling boil, reduce heat. Cook it on low flame stirring continuously. It will begin to thicken. The colour will change from greenish yellow to brownish orange. 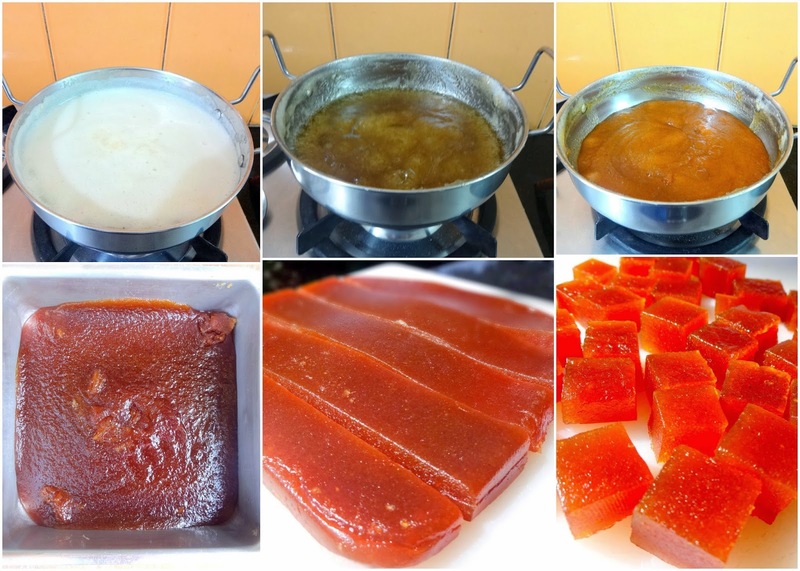 Keep stirring and cooking till the mixture becomes gel like and begins to leave the sides. Grease a small plate. Drop some mixture. Cool it and roll it between thumb and index finger. If it rolls neatly into a ball, it is done, but if it sticks to finger, it needs more cooking. This looks super delicious, almost like jam taken to next stage. Superb recipe Namita. 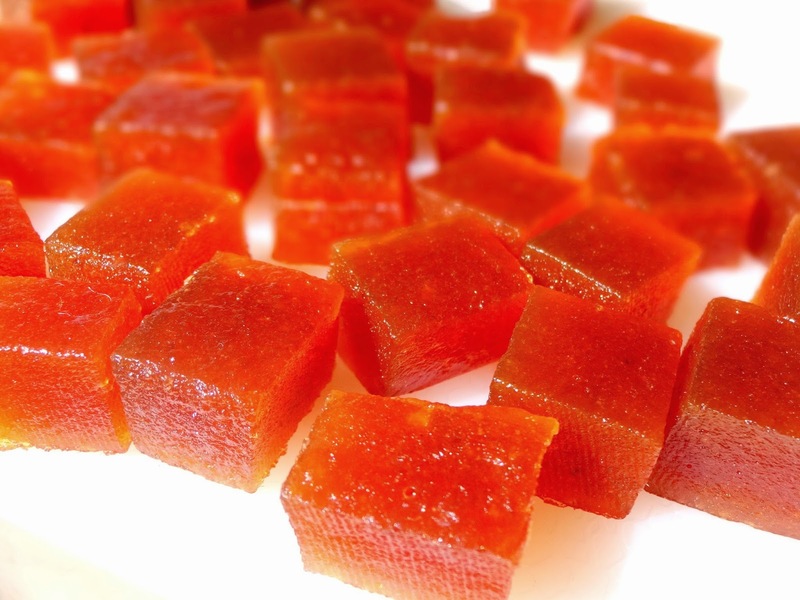 I haven't seen so transparent, soft & yummy Amla candy before.Everyone will love it. It is really a surprise recipe. 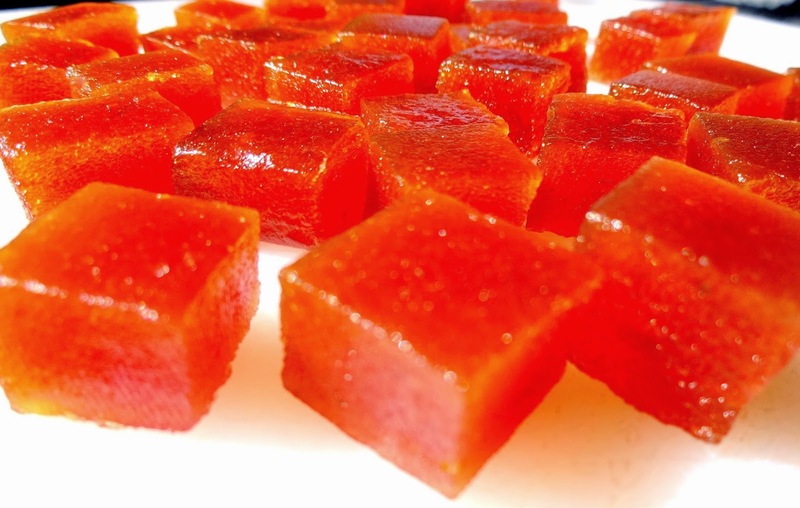 it is very tasty and above all very easy to make. 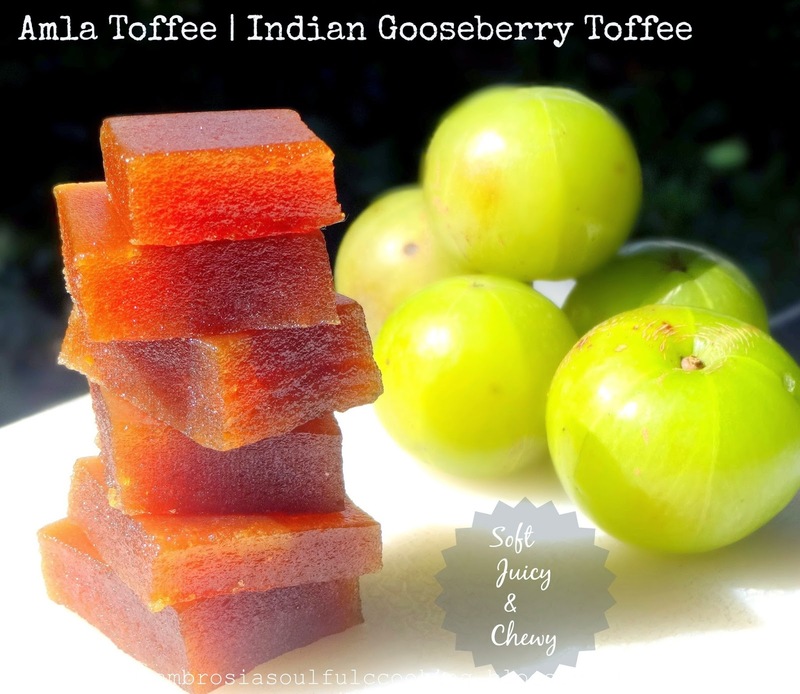 Marvellous recipe.Nice way to include amla in our diet.Thanks. Do try out this recipe. It comes out really well. And yes, a very tasty way to incorporate amla in our diet. it looks so yummy. 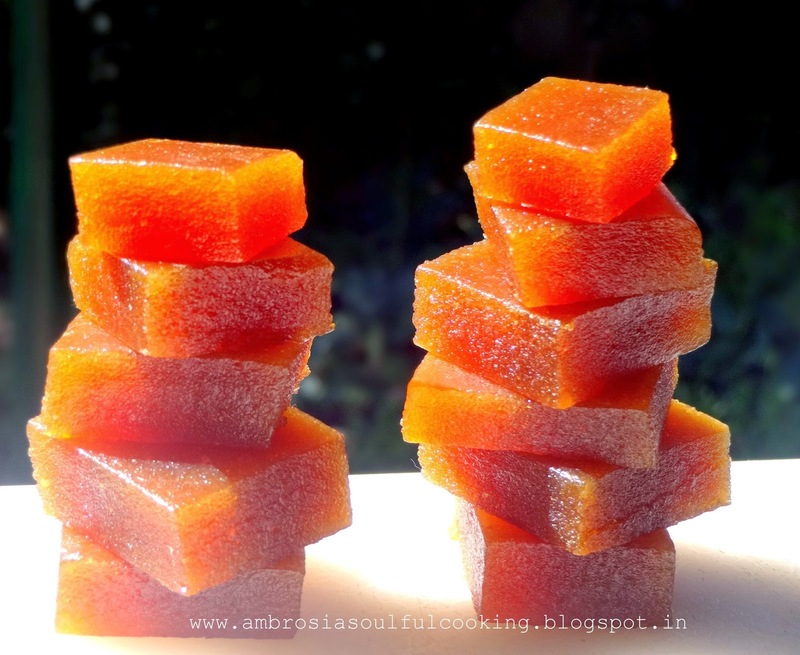 can you please tell me if we can replace sugar with jaggery and make them. even ragi bread , can we switch sugar to jaggery, as it is bit healthy version. A good recipe. If you could post a video, it would be more helpful for preparing. Please if you could. Hello Subrahmanyamji, It is really simple. You may try out a small batch first, it will give you a hang of it. Second batch will be better.